Broadband India Forum (BIF), a not-for-profit policy forum today said that the license exemption of 605Mhz in the 5Ghz band for Public Wi-Fi has immense potential in enabling high speed, high capacity broadband coverage to a large population mass in an affordable & ubiquitous manner besides helping decongest the Wi-Fi network and help achieve carrier grade quality of broadband services. Broadband India Forum also said that access to additional 605Mhz delicensed spectrum for Public Wi-Fi in the 5Ghz band has the potential to provide additional backhaul capacity besides facilitate high capacity download access, thereby facilitating ubiquitous and cost effective broadband access to unserved and underserved areas. The special guest at the event, Aruna Sundararajan, Telecom Secretary and Chairman, Digital Communications Commission, Govt. of India reiterated this when she said that public Wi-Fi could bring the costs of broadband delivery from 22 paise per Megabyte to as little as 2 paise per Megabyte , thereby making it really affordable to the common man. She also mentioned that the release of 605Mhz of spectrum constitutes the largest release of delicensed spectrum in the world, greater than even the US & EU. This she said, will have a catalytic and cascading effect on the entire telecom ecosystem including handset manufacturers, ISPs and other stakeholders as many more Indians on the other side of the digital divide will be able to access high quality bandwidth at extremely low costs and using more affordable devices. Public Wi-Fi is aligned to the government’s programme under the National Digital Communications Policy to identify, assign and allocate license exempt spectrum besides licensed bands for meeting the broadband targets. This also includes a target to install 5 million hotspots by 2020 and 10 million by 2022. This would enable the government to provide all-pervasive coverage and broadband connectivity to all. The effect of such low-cost and high-quality bandwidth on India’s rural economy, a strong focus area for the government will also be transformational. Access to pubic Wi-Fi in the 5Ghz band will also fuel the entry of small/mid-sized players in the public Wi-Fi ecosystem and will further open up the rural economy and encourage village level entrepreneurship, as well as boost rural jobs and employment. 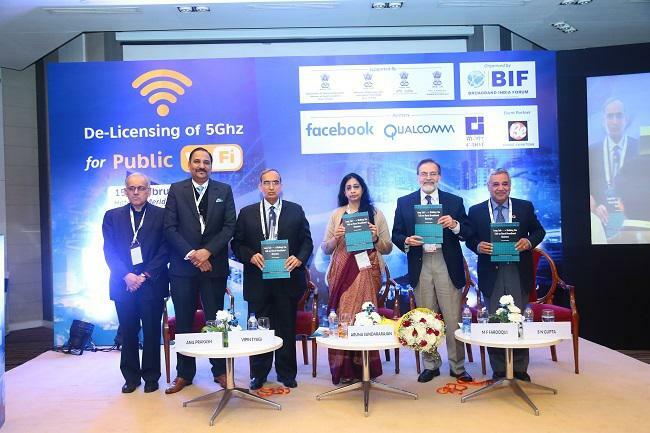 In continuation of its focus on providing Policy & Regulatory insights to help the country attain Digital India and Broadband for All through a liberalized approach for creation of Public Wi-Fi, Broadband India Forum brought together an eminent group of industry leaders to deliberate on the opportunities for India that will emerge from the delicensing of 605Mhz in the 5Ghz spectrum band. 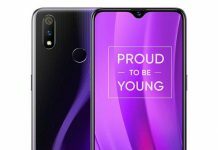 The group representing industry, academia and government also discussed the technology evolution that will result from the introduction of this band. A panel discussion on the theme, Technology Evolution, New Use Cases and Global trends on 5Ghz band was also organized. Panelists included: Vipin Tyagi, ED, C-DOT, Parag Kar- Vice President, BIF & Head, Government Affairs, India and South Asia, Qualcomm; Gulab Chand-Sr. DWA, WPC , Ministry of Communications, SN Gupta – Chairman of the Board, India and BIMSTEC, South Asia, Blue Town; and Sai Manapragada, Founder & Chairman, XiFi Networks.